Achieving Success in Your Hosting Business – The Secret Is Out! In today’s world, the sheer count of Web Hosting Businesses is growing exponentially with a constant flow of new players entering the industry every day. Looking at current trends, one can see that mid-sized hosting companies are the ones bearing the most brunt. These companies find it hard to compete with larger hosting companies and their heavy marketing dollars. At the same time, smaller hosting companies are also eating into their customer base. 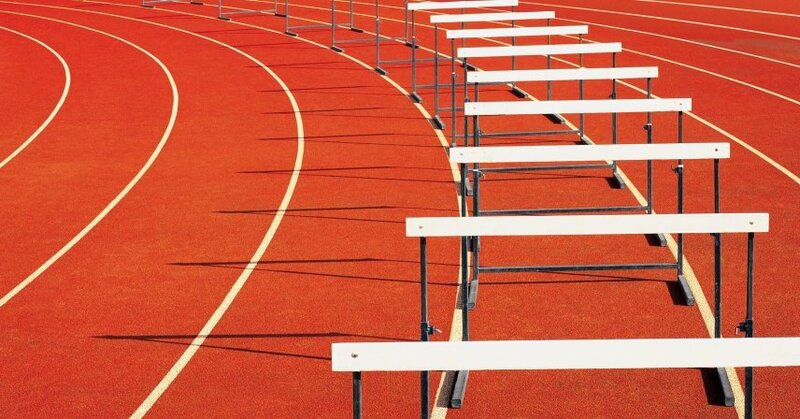 If you are running a mid-sized hosting business then you would agree that there are some serious business challenges today, including the need for differentiation, profitability and boost in new customer acquisition. Domain names have long been a “foot-in-the-door” product for most hosting companies that have recorded high growth. The advent of new generic Top Level Domains (gTLDs) has shifted the focus more towards new & exciting extensions that promise better and shorter names at a fraction of the cost of a premium .com domain name. This is the right time for you to seize the opportunity and leverage it to ramp up new registrations by using domain names as the primary product to get customers onboard. This, however, takes careful planning and a well-oiled backend partner to ensure that you are able to fully leverage the new domains opportunity. As of today, there are 350+ gTLDs that have gone LIVE (with 100s more to come). It’s critical for Hosting companies to ensure that they work towards a model wherein they work with a single provider for all of these TLDs for a single point of integration. Managing multiple TLD integration points, pricing negotiations and uptimes can get operationally taxing. A single point of integration with an experienced partner along with a simple fixed fee model across all TLDs and aggressive SLAs is, naturally, the most efficient model for you to manage your domain name product offering. 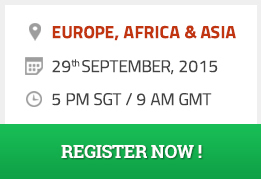 Long gone are the days when a plain Domain Reseller model through a local provider made sense. Today, hosting companies are on the hunt for a Domains Partner that provides them with essential services around domain name registrations. Ideally, and seriously it’s not too much to ask, your Domains Partner must have a consultative approach to the partnership with dedicated PoCs and a 24×7 support model in place. Your ideal Domains Partner should be someone with an impeccable repute offering you an advisory approach towards the success of your domains business and a competitive price point. If you aim to reach the top of the food chain, it’s imperative for you to consider getting ICANN Accredited and taking complete control over your domains business. Simply put, you need to ensure that you directly procure domain names from the respective Registries such as Verisign and PIR. ICANN Accreditation has many benefits: a clear cost advantage as you don’t have to pay the Reseller Fee any more, complete control over security of VIP domain names through Domain locking, etc. As a Registrar, all the WHOIS requests show your brand name which boosts your marketing goals. It is imperative for you as a Hosting business to align yourself with the ever-changing industry and join forces with the right partners for critical product offerings like Domains and the right time is now. Having been in the domain & hosting industry for over a decade now, LogicBoxes has helped over 100 hosting companies to identify business requirements and grow exponentially via an ICANN Accreditation. This article is written basis the key insights that we’ve acquired through working with our partners. If you’d like to learn anything specific or have any questions, feel free to comment below! 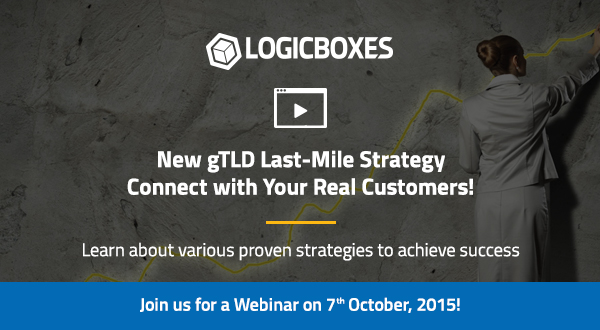 Webinar for New gTLDs – Last-Mile Strategy: Connect with Your Real Customers! This is the age of the Customer. It has become imperative for companies today to have a customer-centric approach to sustain and succeed in the market. This is an approach that we strongly believe New gTLD Registries can adopt to differentiate themselves and succeed. Today, Registrars are finding it difficult to focus on all New gTLDs and are choosing to sell lucrative, generic New gTLDs primarily. This poses a challenge to the niche New gTLDs that don’t make it to the top selling list. To overcome this hurdle, Registries need to equip themselves with means to sell their extensions directly to the end customers. In other words, Registries must embrace the Direct-to-Customer model (in addition to the classic Registrar model) to avoid losing out on customers and sales. And the domain industry has already seen some strong examples of Registries that have benefitted from embracing a combination of the Registry-Registrar model and the Direct-to-Customer model. 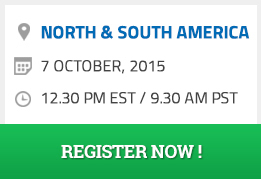 Join us for a webinar about “New gTLD Last-Mile Strategy – Connect with Your Real Customers!” on October 7, 2015. Through this webinar, we aim to throw light upon the success stories of Registries who have achieved new heights of success by making this bold move. Apart from this, we will also discuss newer opportunities and strategies that New gTLD Registries can make use of to widen the reach of their New gTLDs. Seats for the webinar are limited, so secure a seat today and take advantage of this great opportunity! 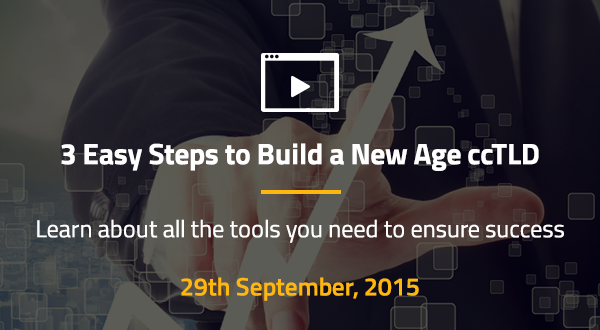 Webinar for ccTLDs : 3 Easy Steps to Build a New Age ccTLD! In this era of automated domain purchases, several ccTLDs still use legacy non-automated systems for domain registrations. 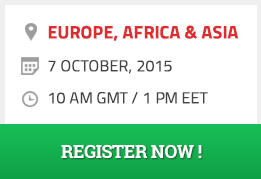 Also with the advent of New gTLDs, Registrars haven’t been able to focus on ccTLD domain sales as before. As a result, it has become extremely crucial for ccTLDs to adopt automation and a direct-to-customer strategy to maintain their foothold in the market. To help ccTLD Registries understand the benefits of ccTLD Automation, we have arranged for a LIVE and exclusive webinar that talks about “3 Easy Steps to Build a New Age ccTLD”. The aim of this webinar is to help ccTLD Registries understand the current state of the industry and how they can make the most out of automation and new revenue opportunities. To empower Registries to achieve these objectives, our in-house ccTLD expert – Clifford deSouza will host this webinar and guide you with his expertise. In today’s world, domain name registrars play a very important role in the functioning of the domain name ecosystem. This is in stark contrast from the Registry-dominated industry most of us have been used to seeing over the past decade. After the introduction of New gTLDs, Registrars have been elevated to a strategic and important pedestal because they’re the first contact point to end customers of domain names.Don’t get me wrong, a Registrar doesn’t have it easy in today’s world. They have the added work-load of Registry relationship management, New gTLD integrations onto their platforms and handling complex regulations put in place by ICANN regularly. In this situation, it becomes very important for a Domain Registrar to automate day-to-day operational activities that are mundane so that they can focus on business growth and development activities. How Does This Article Help? 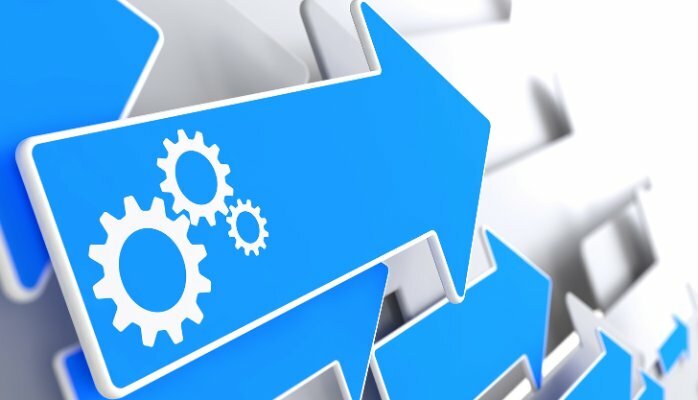 This article covers a comprehensive list of automation modules that every ICANN-compliant Registrar Automation Platform should offer. If you’re a fresh Registrar that’s evaluating a platform for your new and bigger role in the domain industry, this article will help as a checklist in finding the right ICANN-Accredited platform for your automation needs. If you’re an existing Registrar that’s looking to outsource from legacy systems over to a modern and scalable platform, this article arms you with a list of parameters that you can use to compare your own platform with others in the market today. – With the introduction of a so many new gTLDs, your platform should help you manage all existing new gTLDs and integrate new ones as and when they go LIVE. It should also help you choose a relevant suite of web products for your user base and have the flexibility to incorporate new products. – Instead of using another tool for CRM, the registrar automation platform should have in-built functionalities for end-to-end customer management including handling of orders, funds, pricing, etc. – The wholesale channel requires special attention because of the deeper gravity of its operations. It’s important that you empower your resellers with a subset of the tools and automation that you possess as a Registrar. – Given the online nature of the product, it is a definite value add if you can automatically send out promotional email campaigns from within your automation platform and share new announcements with customers and resellers inside their control panels. – While most registrars would have a team dedicated to Accounting and Finance, your automation platform should be able to generate invoices, receipts, debit and credit notes, etc. and maintain a log of every financial transaction for bookkeeping purposes. – Any registrar automation platform should allow customers to visit the registrar’s retail website, place an order, pay and get it live/active instantly. While this seems like a simple & upfront task, it’s a lot more complex, involving connections with various domain registries, vendors, etc. – To retain its Accreditation, every registrar needs to comply with ICANN’s regulations. Working on an ICANN-compliant platform ensures that you have lesser headaches about meeting these requirements that include automated WHOIS reminders, compliance reports, data for compliance audits, etc. – Every registrar business is unique and so are its requirements. Your platform should have the flexibility to incorporate all your business needs and custom specifications. It should also have the flexibility to scale up and allow you to add unlimited customers, resellers & orders under you. When ICANN announced the nTLD program, thousands of applicants threw their hats in the ring. It seemed pretty straight forward; the existing TLDs were running out of short meaningful options, all that was needed was to create newer options that would be more relevant for specific sets of customers. Years later, the process is well underway; hundreds of nTLDs have hit the market, yet less than 10% of those that have gone live seem to have found success. The term ‘success’ has different definitions for different registries — for some it’s the total size of the namespace, for others it’s the quality of the target audience that has adopted the nTLD. Increasing Awareness – A recent study by Sedo in May 2014 reported that nearly 75% of internet users aren’t aware of nTLDs. Most customers are simply not aware of the existence of nTLDs, making marketing a nightmare for Registries. Not only do they have to bear the burden of marketing their product, but also the need to educate customers about nTLDs as a whole. This is something that .CLUB seems to have handled remarkably well on a global scale. By using well known faces to endorse and use their product, .CLUB has spread both awareness and acceptance amongst their target audience. However, there’s still a long way to go to make nTLDs more mainstream. Dedicated Focus – Over 500 nTLDs have already been delegated and we’re only half way through. With so many options available, customers are stuck between bewilderment and being spoilt for choice, making it even more difficult to grab an apt moniker for their needs, and there’s not much that nTLD Registries can do. Nearly every active Registrar sends out frequent updates on nTLD launches that covers a list of extensions at one go — not giving each extension the attention it deserves. Better Control – The balance of power has changed, with hundreds of Registries now vying for prime spots on Registrar websites. 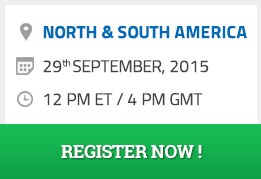 With the slew of new TLDs, Registrars simply can’t keep up. Registrars are now calling the shots by deciding how much they will prioritize a TLD. Even if a customer is aware of a TLD, the probability of losing a customer to another TLD that has been prioritized is near certain. One of the influencing factors in deciding whether an nTLD can or cannot get sufficient eyeballs is the intelligence built into the Registrar’s website. And there are certainly some issues here. For the longest time, Domain Registries were the un-sung heroes of the industry — steadily working in the background and enabling Registrars & Resellers across the world in helping new internet users create online presences. There is no denying that educating the end customer is a time consuming process and it might take another few years before nTLDs are widely accepted by the general public. So, while investing in public awareness campaigns and other marketing efforts makes sense, Registries & Registrars need be patient to bear the fruits of such efforts. And while the traditional Registrar channel is still a very relevant avenue to drive registrations, the new Registries on the block have to think out of the box to stand out from the crowd. Many have already taken big strides here by going direct-to-customer. Registries like Registries like .wien, .build, .luxury, .physio, .press and others have carved out a retail channel for themselves, over and above the traditional Registrar outreach. By creating a dedicated storefront for their TLD, they’re definitely maximizing the ROI of all their marketing activities and thus have much greater control on their registration volumes. This is definitely an opportunity that many Registries should investigate. Every Registry mentioned above has approached the issue at hand in a separate manner, their goals however remain the same, awareness and acceptance, which will hopefully translate into meaningful business. Which approach the nTLD Registries choose to follow is obviously dependent on their marketing spends, target markets and goals. Given the amount of competition already out there and with the number of challengers increasing every day, it only makes sense to start looking at alternate options. The game has changed, nTLD Registries need to too!